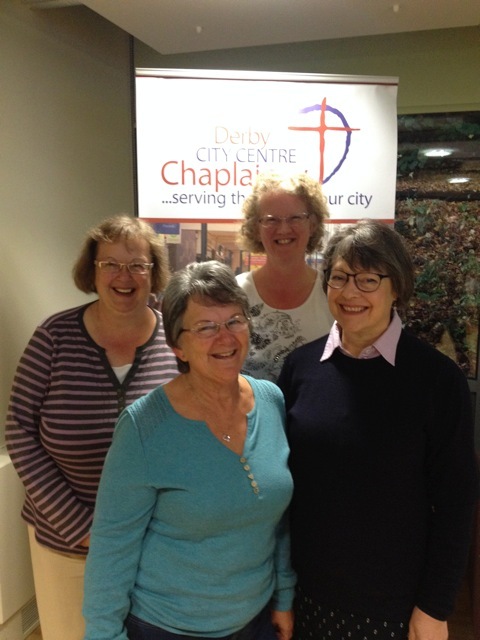 Derby City Centre Chaplaincy is delighted to have a rapidly growing team of Chaplains to serve staff and residents in local residential and nursing homes. Chaplains are currently placed at Brookfields and Rykneld View in Littleover, Liversage Court and Castle Park Homes in the city centre, Bluebell Court in Chellaston, Merrill House in Sinfin, Sherwood on Village Street and Kiwi House, Ferrars Court, and Handyside Court in the Boulton Lane area. In liaison with Belper Town Chaplaincy, chaplains serve at Holbrook Hall and Bankwood near Duffield. ‘Chaplains visit Homes on a regular basis and offer pastoral support and a listening ear to residents who may be going through a painful stage in their lives. Some have few visitors, and to have someone to talk to and share worries and fears with is greatly appreciated. Some have been faithful Churchgoers throughout their lives, and value the connection with others who share their faith.’ The Chaplains also recognise the pressures that many staff face, and can offer a supportive presence and listening ear. Gill Jones, Anna Hutton, Karen Jeffcoat, Ann Harrison.